Had a few hours spare today so I finally managed to get some base coating done for my ever growing pile of models. I am expecting to get the Robute Guilliman model today so that will put a hold on a lot of my Hawk stuff. 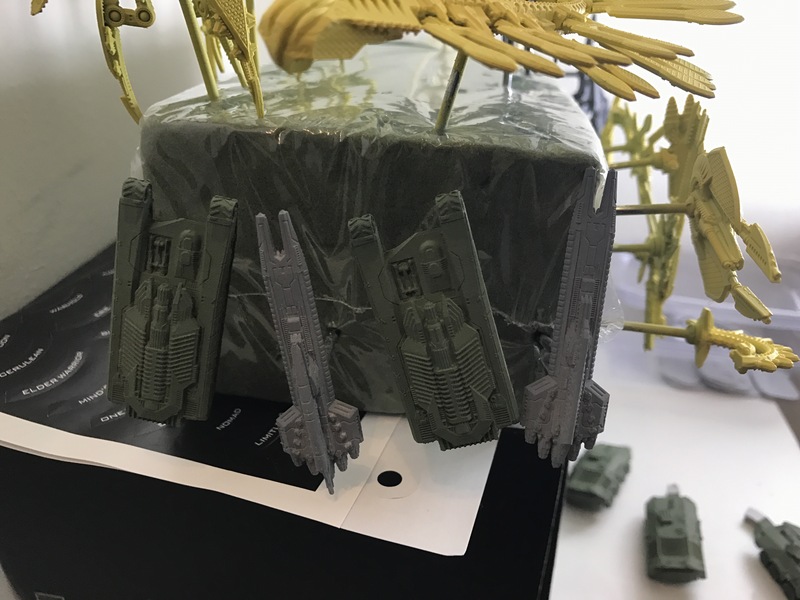 My block of models contains some UCM ground forces as well as the UCM starter fleet. 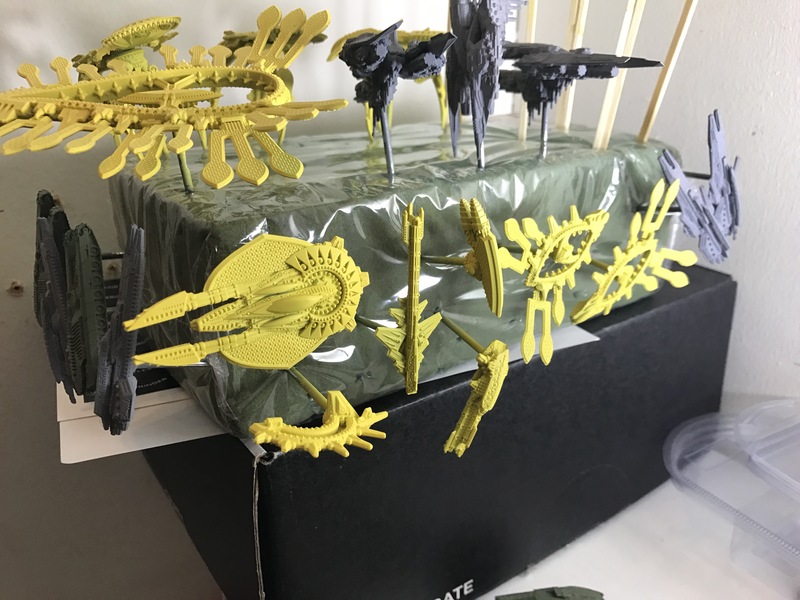 The rest is a collection of Shaltari Dropzone stuff that I will slowly work through. As you can see it is quite a collection. 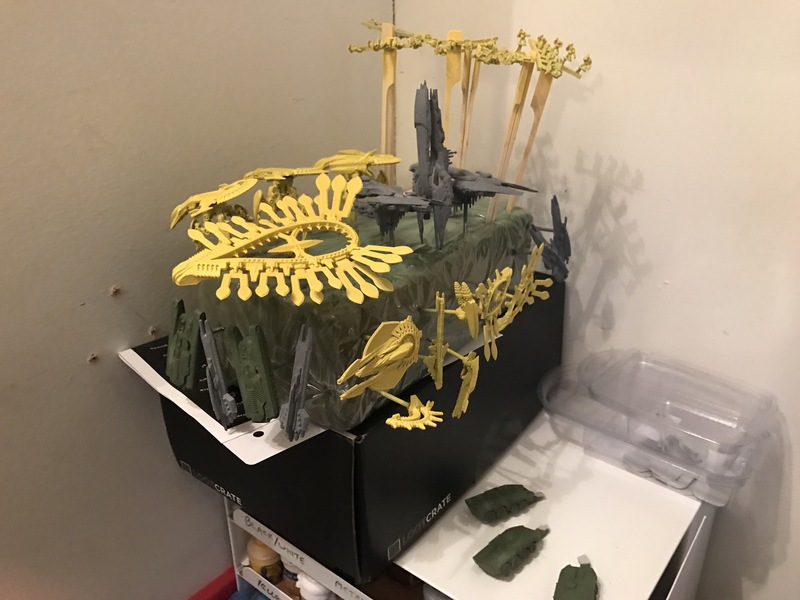 I am working up from Halfords Grey Primer with the UCM Dropfleet stuff. Thinking with a black wash then a drybrush it might be a super quick method of painting. 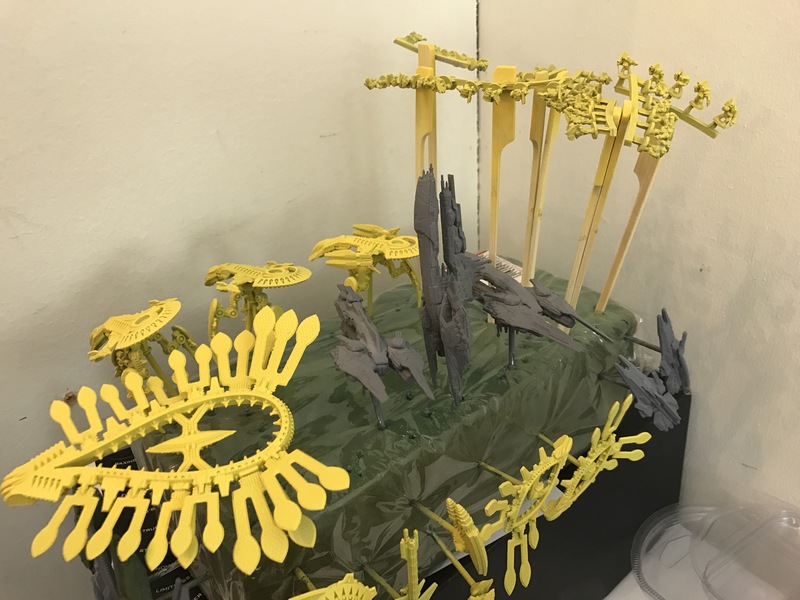 Otherwise I may do some panel painting but I dont know if I am going to commit to that level of time and effort on them.